I’m walking the line here, hanging on to summer produce, embracing the flavors of fall. I managed to find some late season, tiny, local strawberries at the farmer’s market for my fruit photoshoot and after their hard day of looking perfectly adorable, I had the audacity to make them into dessert. As you may have noticed, these strawberries have a dark side. 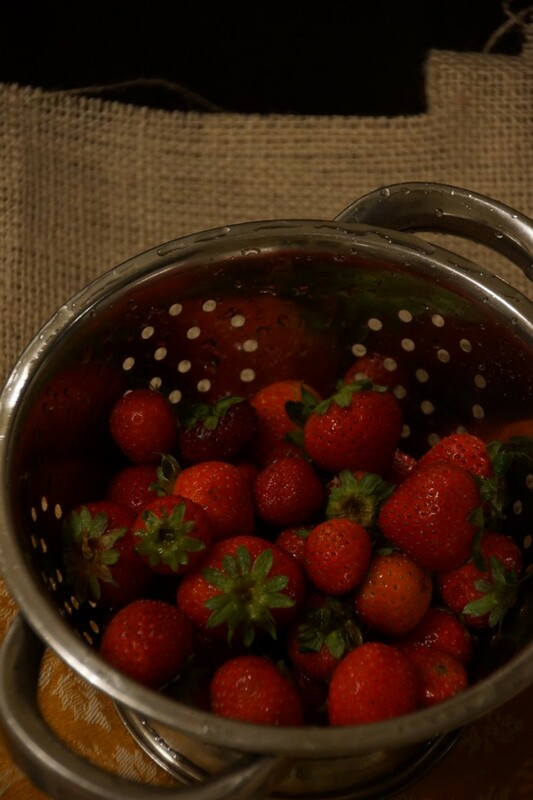 These are not June’s bright and innocent strawberries destined for shortcake. No, no. Cloaked in sticky, dark balsamic, these are the black turtleneck-wearing, chain-smoking poets of the berry world. What could we ever serve with such berries? Ice cream? Too cute. Pudding? Too trendy. How about zabaglione? Understated sophistication. Perfect. These berries can appreciate that. Plus it’s fun to say. A couple yolks and some sugar get dropped in a bowl. Add some booze. Place over simmering water, whisk. The more you whisk, the more you get to eat. This dessert can easily be made for 1 person or 10. 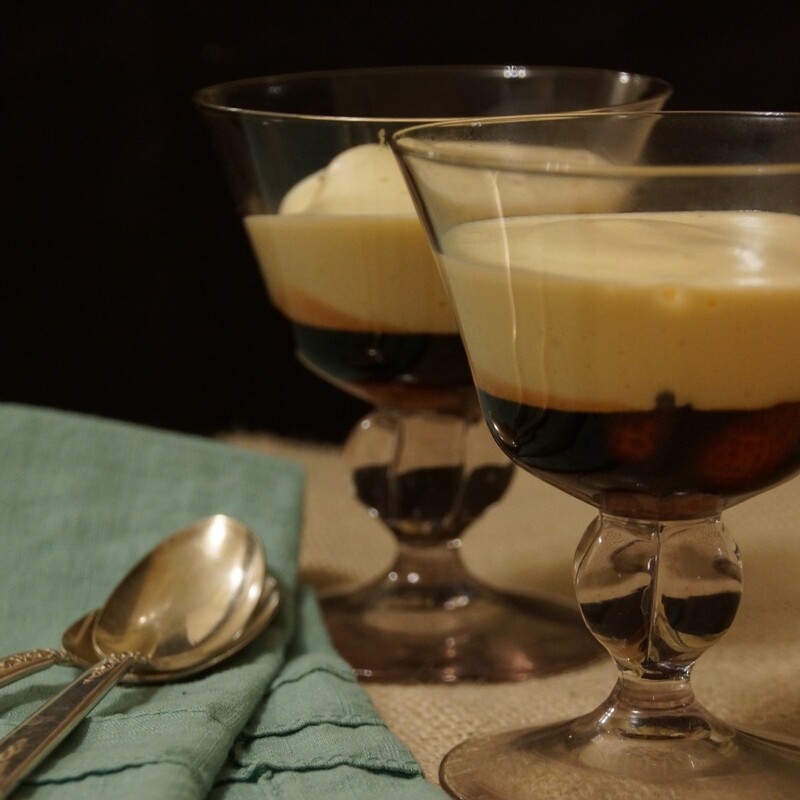 The zabaglione is delicous with almost any fresh or roasted fruit. Serve some cookies or biscotti along side for a more composed dessert. Simmer balsamic in small saucepan over low heat until reduced by half. Meanwhile, remove strawberry stems. 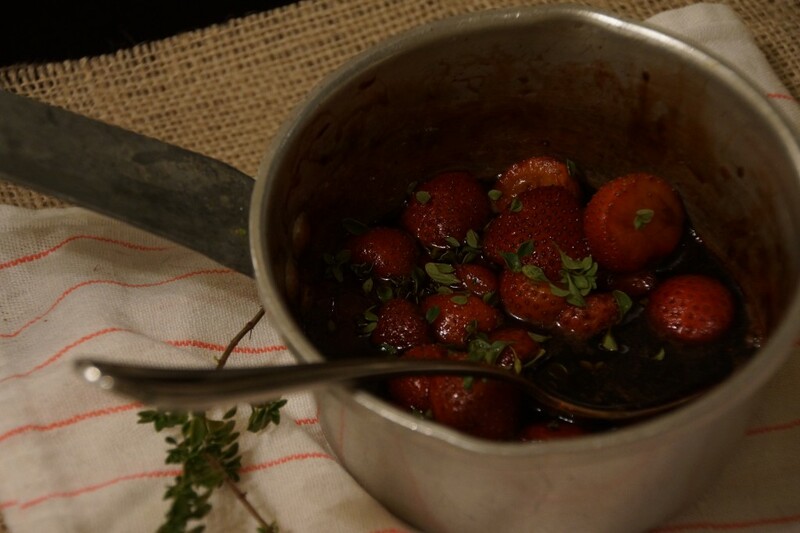 Add strawberries to reduced vinegar and roast in 400° oven until berries are warm and flavors are concentrated, about ten minutes. Add thyme leaves, sprinkle in raw sugar, and allow to cool slightly. Place egg yolks and sugar in heatproof bowl and whisk until pale yellow. Whisk in marsala and place over a medium saucepan of simmering water. 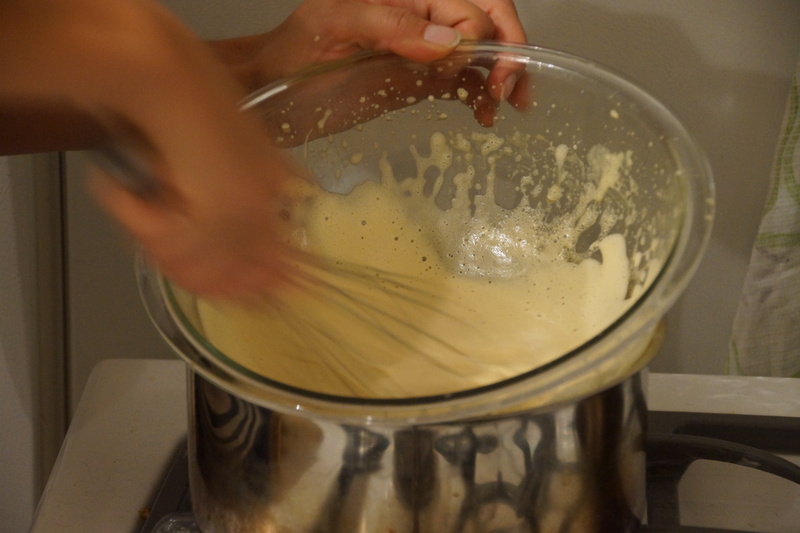 Whisk rapidly until the mixture is light and foamy. Place berries in the bottom of parfait glasses or bowls. Spoon warm zabaglione over the top.